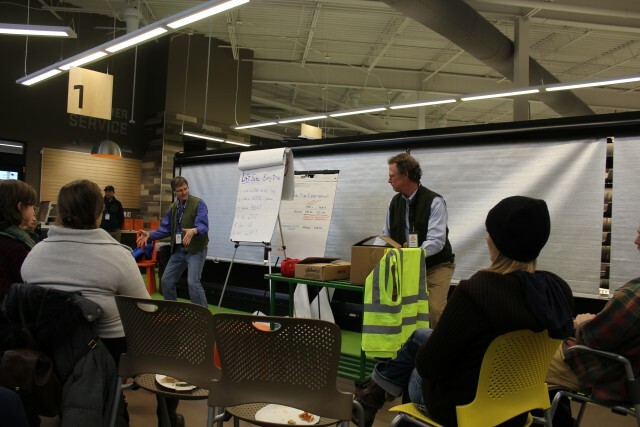 The first ever all-staff meetings at the Denfeld Whole Foods Co-op took place on March 5th, 2016. 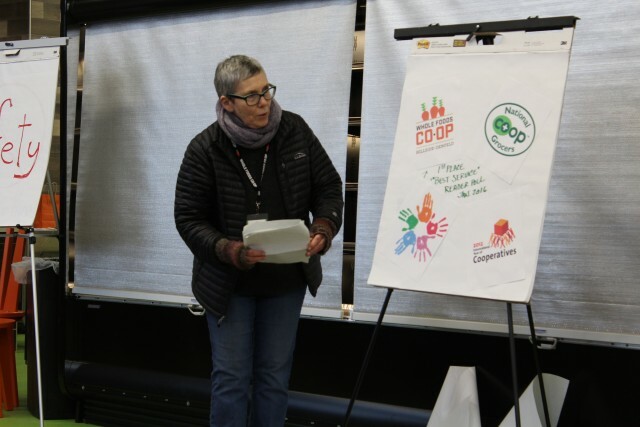 For many staff these training sessions were a first glimpse of our beautiful new co-op, and the excitement was evident in everyone’s reactions. Staff were given a brief history of the project from General Manager Sharon Murphy. They were also briefed on safety procedures from HR Manager Colleen Kelly, with help from Denfeld Store Manager, Peter Krieger, who demonstrated correct techniques for safe lifting, box cutting, and cart pulling. Staff enjoyed food from our new neighbors at The Duluth Grill and V.I.P. Pizza, and many took home some great raffle prizes and WFC swag. Trainings concluded with a tour of the store. So much excitement! Here We GROW! !